Slice the tofu thinly and cut into 2 inch square or rectangle pieces. 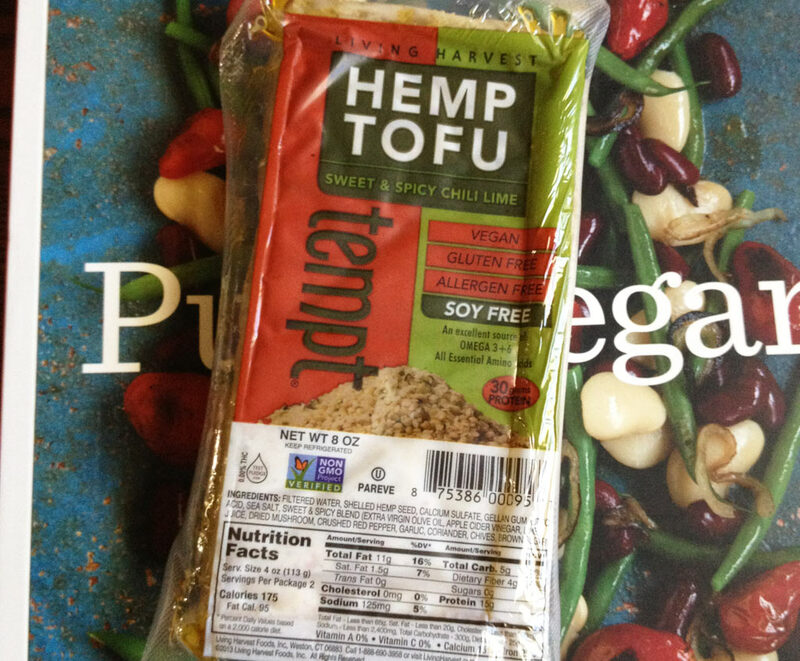 Bake the tofu at 325˚ for 15 minutes, flip, and bake for 10 minutes. Slice each tomato into 4 pieces. Place the tomatoes into a large bowl and drizzle with extra virgin cold-pressed olive oil and balsamic vinegar. Wash and dry lettuce and tear into 2 inch pieces. 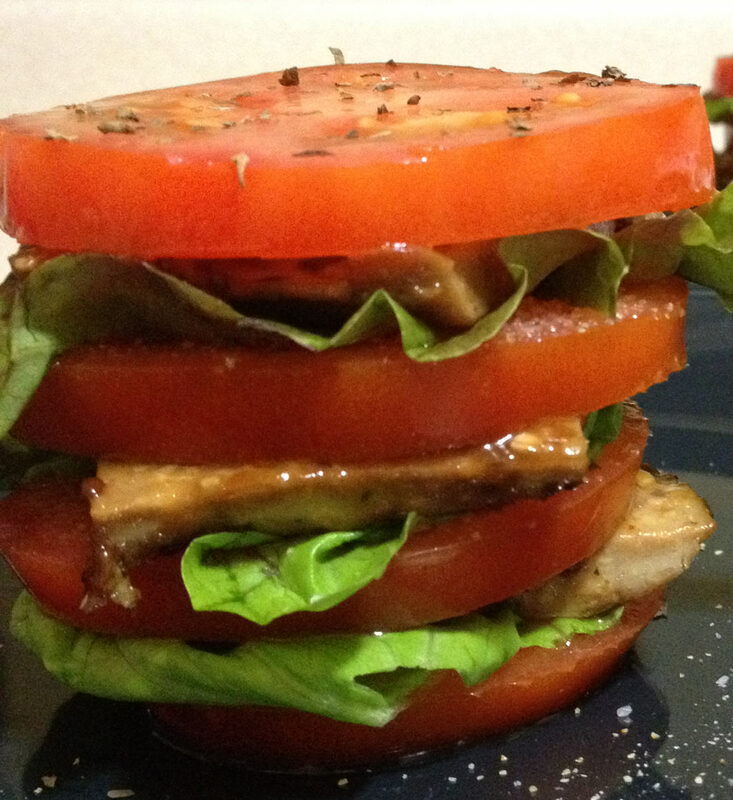 Layer salad in this order: tomato slice, spices, lettuce leaf, tofu slice, and repeat. Sprinkle each tomato slice with salt, basil, and garlic powder. 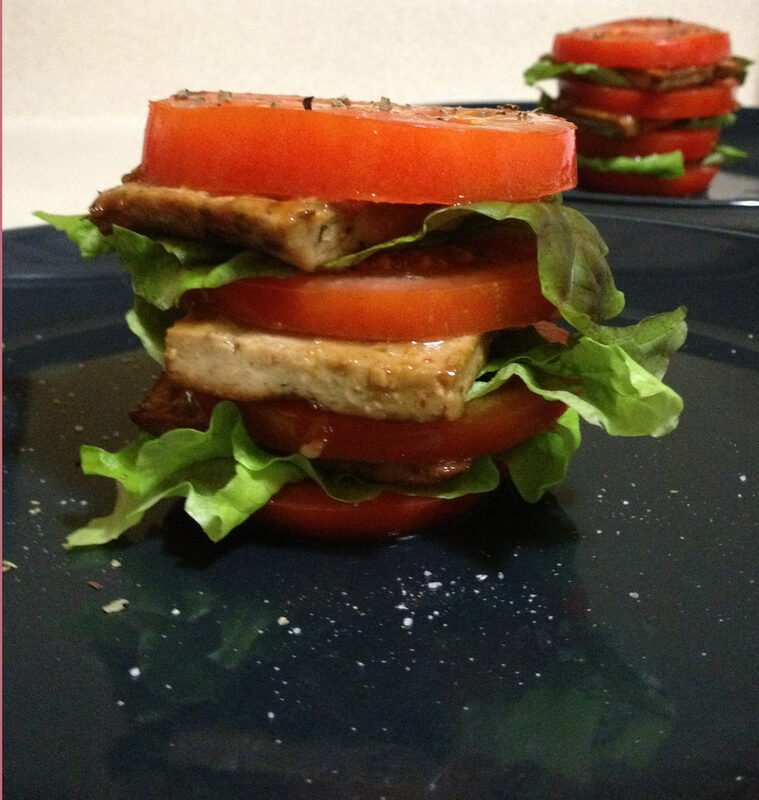 Serve the 3 salads built as tomato stacks. 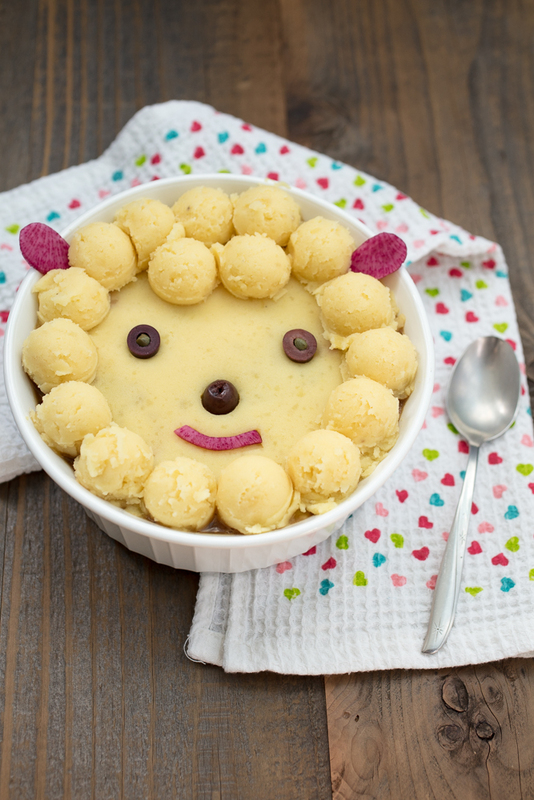 This recipe was submitted to my first ever blog party: Healthy Vegan Fridays! 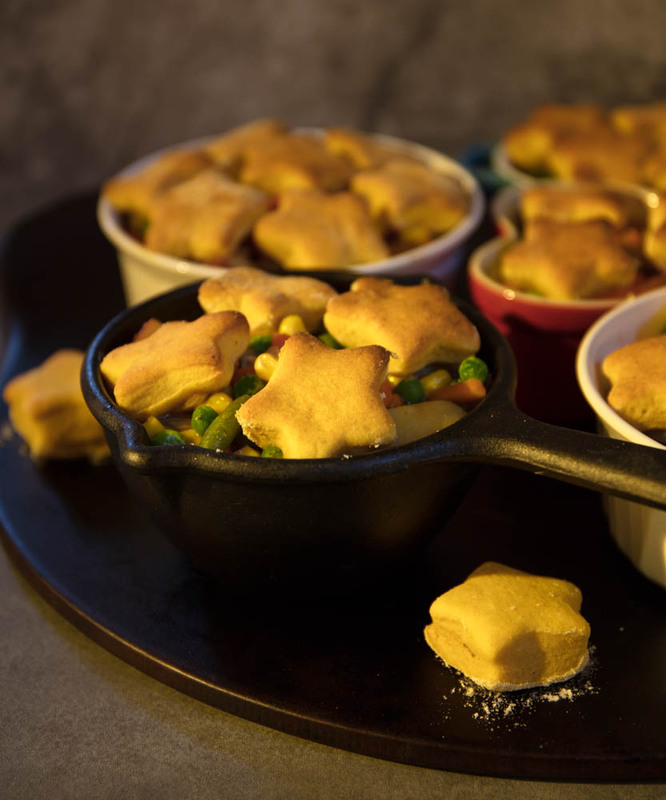 For anyone who isn't a fan of crust, this vegan chicken pot pie is perfect for you since it's topped with biscuits instead of pie crust. 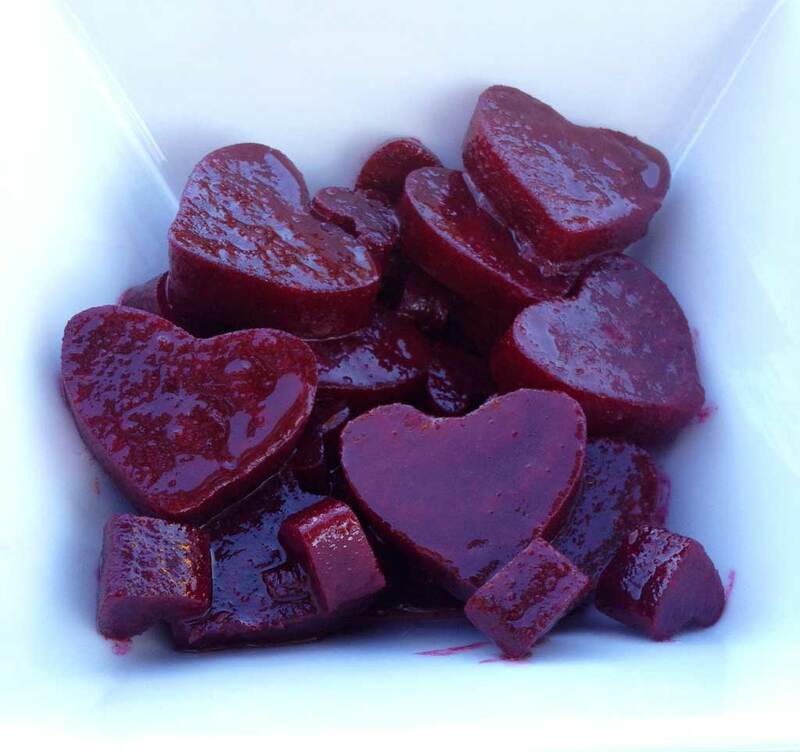 You can cut your beets into anatomically correct hearts if that's your thing.